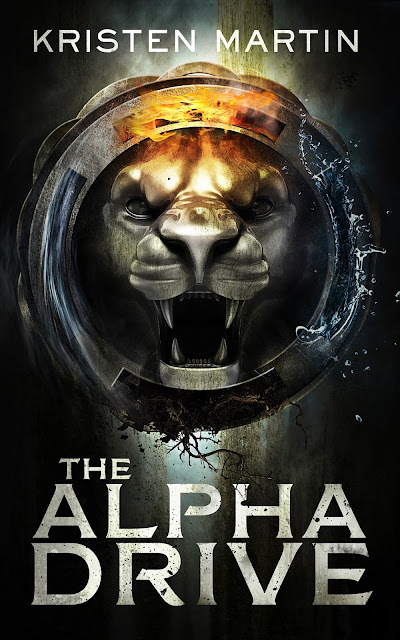 My review of The Alpha Drive by Kristin Martin! The giveaway link is in the YouTube description! and it’s this thing where booktubers can get books and review them and it kinda travels across different channels and blogs and there’s an Instagram one now too. It’s really interesting, check out all the links in the description. Also, there’s a giveaway…so links in the description. I’m not a teenager, far from it, but they’re just fun and this one sounded very fun and it was and here’s why: The year is 2055, all technology has ceased to progress with no explanation from the government whatsoever. Emery Parker has been sent to boarding school by her mother, in a very emotional state for some reason, and gives her this ring that she doesn’t pay much attention to, but things are just slightly off! I suggest you read it, it’s interesting albeit a bit confusing at times. I did feel, and this might be my fault, very confused as to the holograms and the waking world vrs. Dormance. When she was where and how, and the teleportation. I was very confused. I really liked Rhea, her roommate, even though she was always super dramatic all the time. I don know, I kind of liked her. I would have liked to have seen more of Emery and Rhea scenes, interacting together and kind of becoming friends, and less of the sort of ‘boy drama.’ But it’s a YA book so of ‘course there’s ‘boy drama.’ Even when the world’s coming to an end there’s still boys (or girls) to think about, okay? That’s how teenage minds work…I guess. I don’t know, I was a teenager once, boys were defiantly a big part of what I would write in my diary, so I get it. So I thought he was gonna kill her and I thought that when her injected the serum in to her chip that it was to kill her. So she ends up in the hospital and it’s this whole thing. And then they say, I think the words were: ‘she was gone.’ And I thought she died! I literally thought Rhea was just dead and Theo had just killed her. And then of ‘course later she does get killed by Emery. And so that was just like… But then I guess she wasn’t really completely dead ‘cause it was just her hologram self or her Dormancy self. Difference between hologram and Dormancy self, explain. I’m a little lost on that. Mason’s alive again ‘cause it wasn’t really his body that was shot it was his ??? I think it’s been said before but Torin is a total creeper. Like, he’s a cute nerd who’s helping her but he all in love with her after just seeing her and then he hacks into her phone so he can watch her. And a lot of that’s without her knowledge. That’s not okay! The older I get the more frustrated I get with the love triangles and the romance in the midst of you know, the end of the world. But noticing that, I do sympathize more with young people reading because they’re more concerned with those things. And because it’s fiction, it’s fine to just indulge in the things you care about at that age. Like crushes. The world is ending why are you talking about who you like? ‘Cause you know, of 'course you’re talking about who you like. ’Cause it’s just as important, okay!?! Yeah…this is a weird review. Be sure to click on the link in the description if you want to enter the giveaway. Oh, and also check out Kristen Martin’s YouTube, ‘cause she’s a booktuber. So because of that she’s probably watching this video…so hey. Thank you so much for watching, I have more booktube videos so please check them out and subscribe if you wanna hang out with me. I don’t always do book stuff but I make videos about things that I care about, and sometimes that’s books. Meow. Also, I managed to get through this review without referencing The Matrix, you’re welcome.